School's out, its summer break, flights are booked - that can only mean one thing: VACATION TIME!!! For lots that vacation includes a trip to the beach. Snorkeling, scuba diving, catamaran cruises, however you're planning your ocean adventures you're sure to witness tons of sea life. 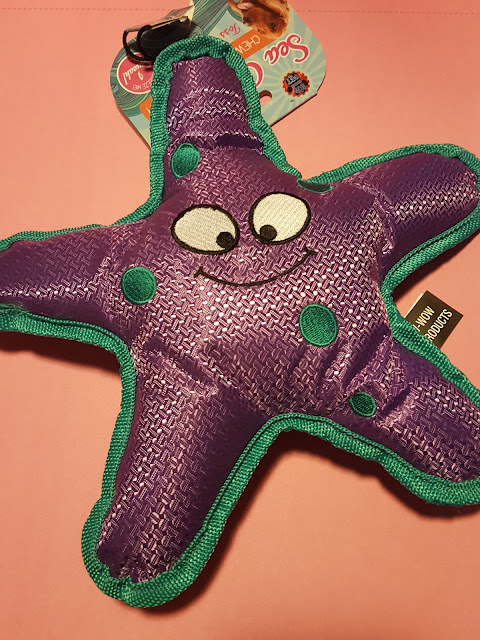 And that's the inspiration behind June's Under the Sea themed box. Just in case your pup can't make it out to the ocean (or refuses to like mine), the nice people at Pooch Perks decided to bring the beach to your dog. 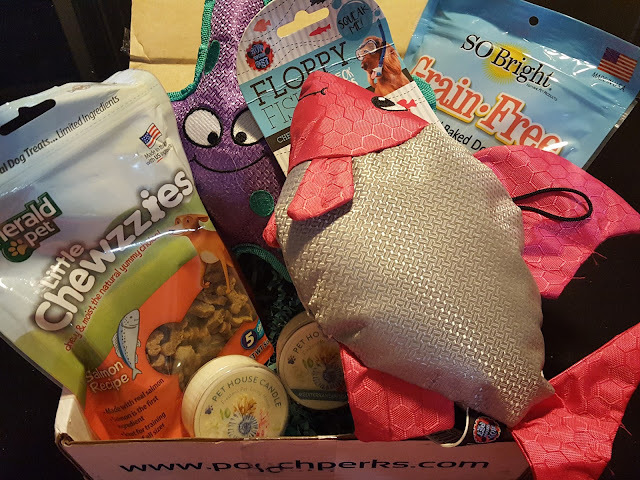 Emerald Pet Little Chewzzies Salmon Treats - What would a sea-themed box be without fishy treats? 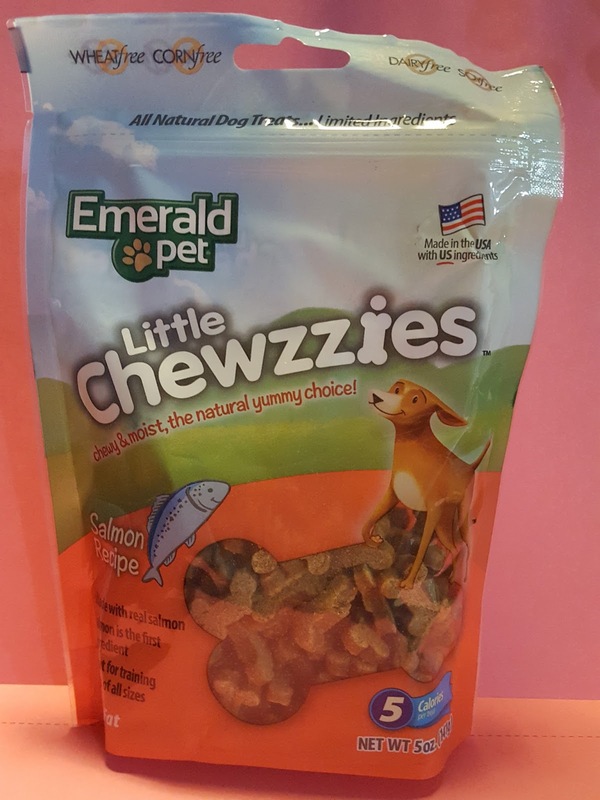 Salmon is the first ingredient in these chewy noms, and that makes me happy because I'm trying to give Macho more fish in hopes that it'll help alleviate his skin issues. These are perfect for training since they have less than 5 calories per treat. Plus they're free of wheat, soy, corn, and dairy so doggies with sensitive tummies can enjoy them, too. So Bright Grain Free Salmon Treats - More salmon! Last month we got the beef liver recipe from this brand and the dogs la-la-loved it. 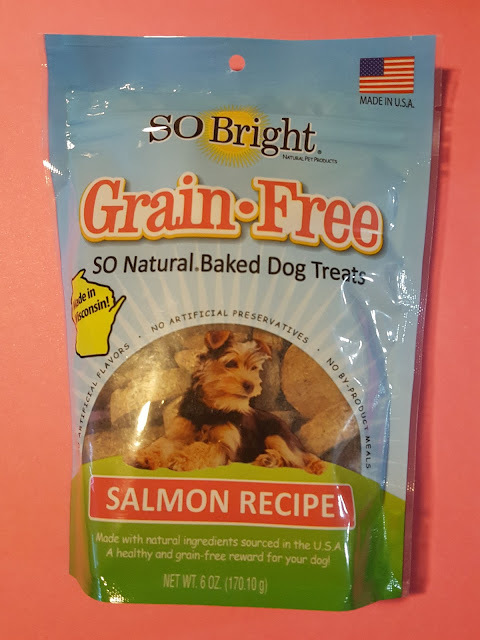 I don't think we've ever gotten salmon flavored biscuits before (it's always been chewy or freeze-dried treats), but I'm hoping these don't smell as bad as the meaty versions. 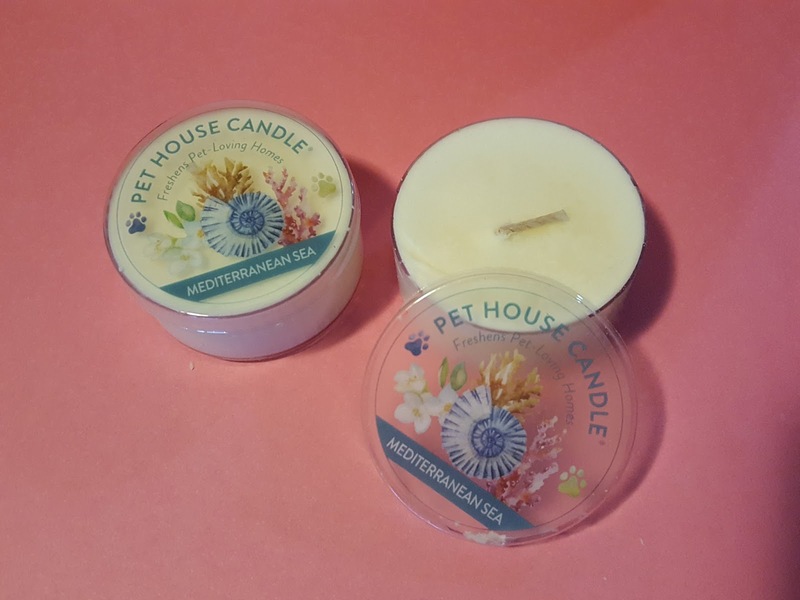 One Fur All Pet House Mini Candle in Mediterranean Sea - I'm not sure if it was a mistake, but there were two candles in my box. But mistake or not, I could sure use twice the odor neutralizing power. I just bathed both dogs last week but I might as well have bathed them last month. I worry about what others smell when they come in our house, kind of like the noseblind mom in those Febreze commercials. Mediterranean Sea is a floral scent blended with citrus and a hint of musk. I'm more of a fruity scented candle person, but this one does smell clean and if it'll make my house smell better give me ten. Verdict: I'm always impressed with how well Pooch Perks sticks to themes. 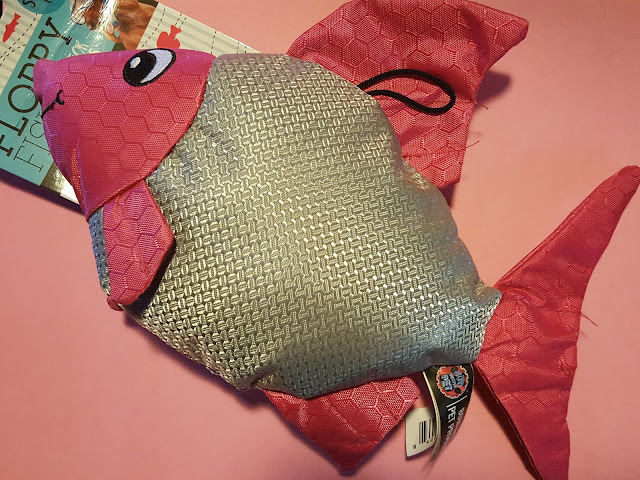 Every item in this box has something to do with the sea, including an ocean-themed accessory. But I think I'm most happy about the salmon treats. They're both sourced in the US and are a huge hit with my fur munchkins (but then again everything is). 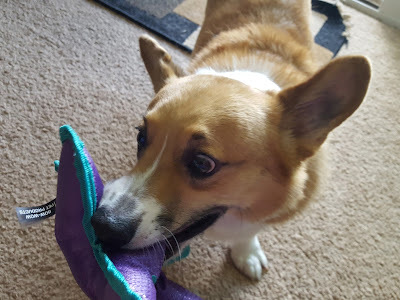 I just renewed my subscription so that means another six months of happy dogs at home!